Gardner CNC has the facilities and experience to conduct Operator / Programming training courses for practically all CNC controls. All courses are individually structured to meet each customer’s specific requirements. Gardner CNC can prepare CNC programs for everything from simple one off components through to multi-pallet, multi component projects. Machine set-up and program prove-out services can also be supplied. Gardner CNC is fully independent of any one software house. This means that we can supply the customer with the software that best meets their specific requirements, not what any one software system says the customer must have. Software from simple RS232 communications systems to full multi-axis CAM systems can be supplied. 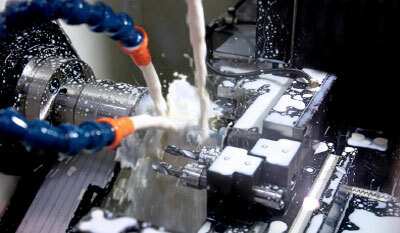 For all enquiries regarding CNC Training or our other services please use the contact form. Our aim is to make sure that your training is as relevant to your requirements as possible, making sure your staff are equipped with the skills they need.